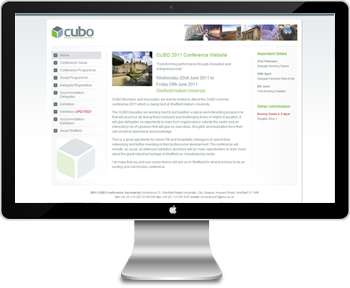 We have worked on a variety of conference websites across numerous disciplines and industries. Have a look at some of the websites we have produced and the features included below. 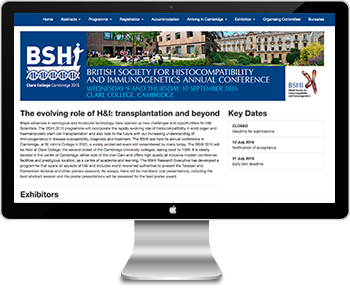 The annual conference of the British Society for Histocompatibility and Immunogenetics held in Cambridge, UK. 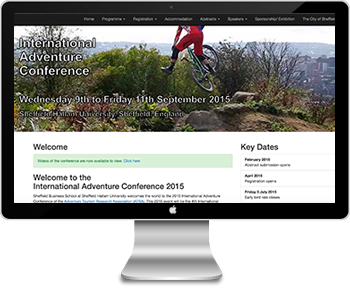 International Adventure Conference of the Adventure Tourism Research Association (ATRA) held in Sheffield, UK. 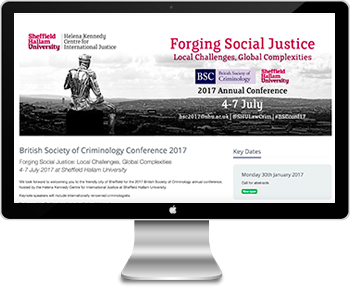 The annual conference of the British Society for Histocompatibility and Immunogenetics held in Manchester, UK. 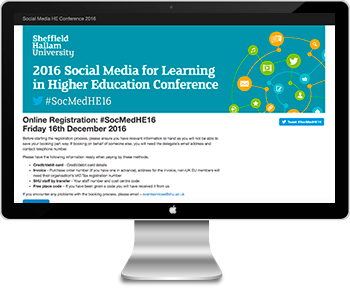 Conference for the Association for Events Management Education, held in Sheffield, UK. The university caterers organisation annual competitions held in Blackpool, UK. 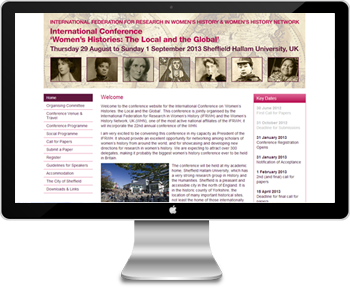 The internation conference on women's histories: the local and the global, held in Sheffield, UK. 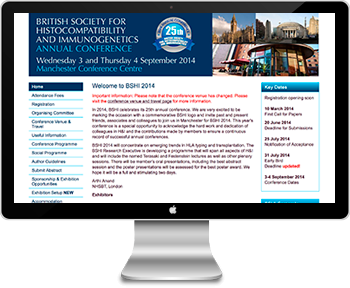 The 24th annual conference of the British Society for Histocompatibility and Immunogenetics held in Manchester, UK. 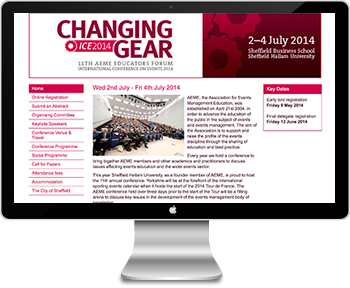 Transforming performance through innovation and entrepreneurship held in Sheffield, UK. 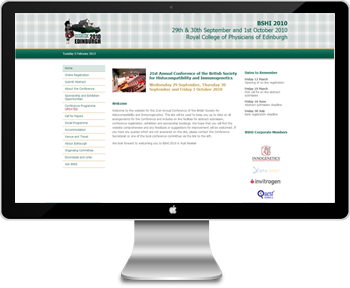 The 21st annual conference of the British Society for Histocompatibility and Immunogenetics held in Edinburgh, UK. 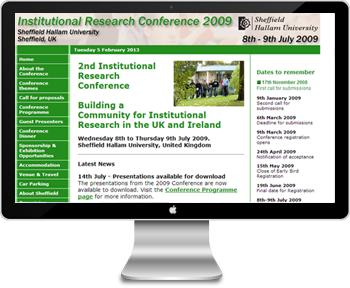 The 2nd institutional research conference held in Sheffield, UK. The 17th national sports development seminar held in Sheffield, UK. 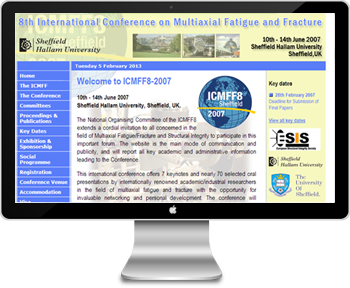 The 8th international conference on Multiaxial Fatigue and Fracture held in Sheffield, UK. 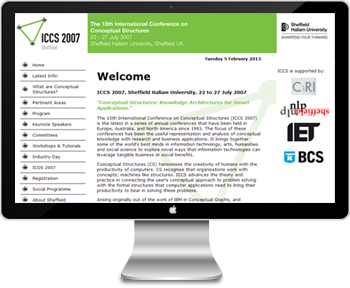 The 15th annual conference on Conceptual Structures held in Sheffield, UK. 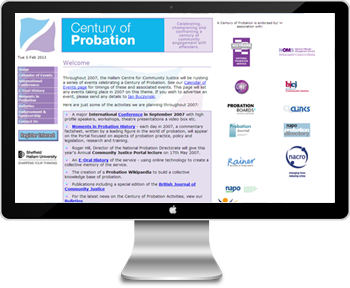 A series of events celebrating a Century of Probation. 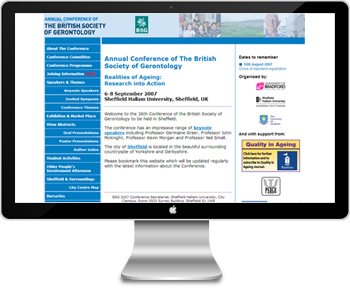 The 36th Conference of the British Society of Gerontology held in Sheffield, UK.